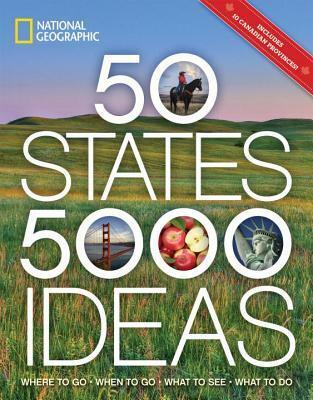 50 States, 5,000 Ideas by Joe Yogerst is a gorgeous guide to the 50 U.S. states and 10 Canadian provinces. Each section breaks down the state or province into cities and landscapes, offers tourist information, provides a background on capitalism, and offers highlights of local favorite foods and drinks and festivals or other events. Some states have hidden treasures, while others include road trip suggestions or trivia about movies, art, or music that came from that location. Yogerst also includes little known facts in some states as well, which could be fun to test on a road trip with family or friends. Rounding out the book are gorgeous, full-color photographs of landscapes, local hubs, monuments, and animals. These provide users with a sense of what to expect when visiting these locations. My family and I have looked through this book several times, and I took extra care in revisiting some of the states we’ve already visited, just to see what Yogerst recommended. We also checked out what he recommended within our immediate area — Washington, D.C., Virginia, Maryland, and West Virginia. For D.C., there is the typical Smithsonian and government buildings listed, as well as our personal favorite The National Zoo, but there were no local flavors listed such as the iconic Ben’s Chili Bowl. I also noted that the National Arboretum, the Maine Avenue Fish Market, President Lincoln’s Cottage, and others were not included. Each section is probably kept minimal, but there are some great hidden treasures that shouldn’t be missed. On the other hand, I was thrilled to notice my favorite museum as a kid, the Worcester Art Museum, made it into the list for Massachusetts. But again, here there were no mentions for the EcoTarium or the Blackstone Valley River Valley National Heritage Corridor, which has a series of trails and more for exploring the beginnings of the Industrial Revolution. My hometown is the home of the Asa Waters Mansion, which was part of the Underground Railroad. Maybe I’m just being a bit too picky. 50 States, 5,000 Ideas by Joe Yogerst is not as comprehensive in finding some hidden treasures as I would prefer, but when visiting new places, the treasures he points out are just what most people would like to see. I think as a beginners guide to traveling the 50 states, this works well. There is enough within each state to occupy those interested in culture, history, and nature. I’ve had the travel bug since I was younger, and while I dreamed of visiting all 50 states someday, I’ve only seen about 19. Wish us luck as we try to tick other states off the list! During three decades as an editor, writer, and photographer, Joe Yogerst has lived and worked on four continents—Asia, Africa, Europe, and North America. 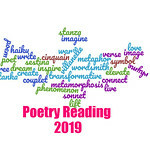 His writing has appeared in National Geographic Traveler, Conde Nast Traveler, Travel + Leisure, Islands magazine, The New York Times (Paris), and numerous National Geographic books. During that time, he has won four Lowell Thomas Awards, including one for Long Road South, his National Geographic book about driving the Pan American Highway from Texas to Argentina. Buy the book at the National Geographic Store. I love reading books like this that help me discover new places. I would definitely do more research before actually visiting, to discover those hidden gems that are overlooked, but as a general overview this book sounds wonderful. I think you could have edited or added to this “stately” book! Thanks for a terrific, thoughtful review, Serena. I like travel books because I know there are some places I may never end up visiting. I would have been curious about the info on the 10 provinces, seeing that I am Canadian. I guess it’s hard to include everything when you’re covering all 50 states. This is probably a good overview but maybe they should publish some more detailed, regional versions as well. That’s a good idea. Having some regional ones. This sounds really good. I imagine they had to pick and choose or the book would have been way too long. But I think it would’ve been more helpful to include the hidden gems, rather than things like the Smithsonian that are more obvious. Ha! That would be fun, though.